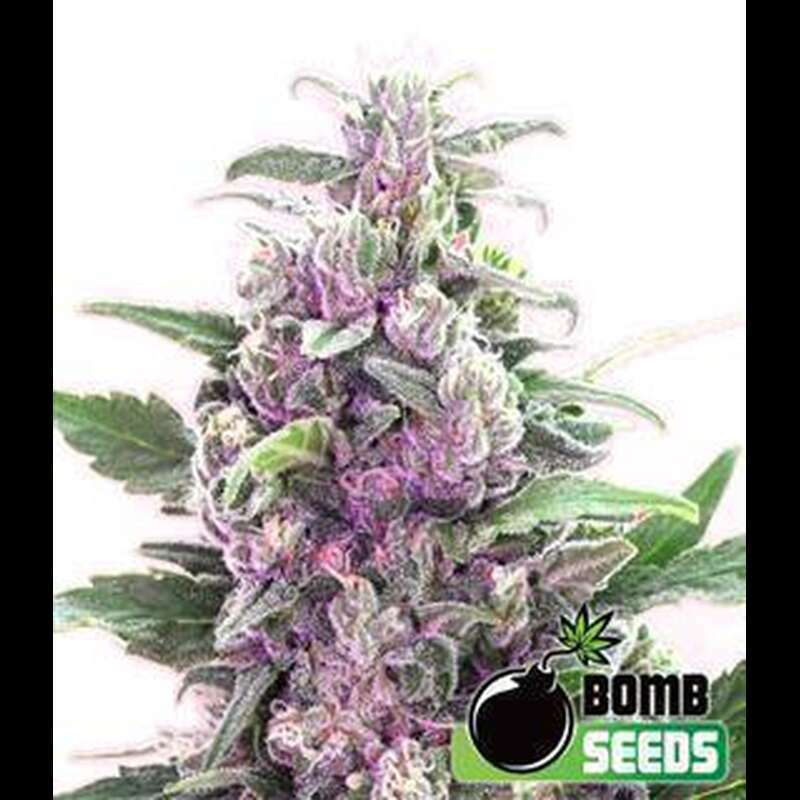 THC Bomb, Bomb Seeds original signature strain, has created rave reviews around the world. This unique mixture of giant, rock-hard buds with explosive THC levels make it one for commercial growers and connoisseurs alike. Like Big Bomb, the harvest will be massive coupled with the power and strength of white strains. THC Bomb has very high levels of THC, well over 20% when grown under optimum conditions. The plant grows with extreme vigour and strength while staying relatively short and finishing very fast for such a large yielder. Outdoors THC Bomb can produce well over 1kg per plant. When ready to harvest the plant will literally be covered in frosty white trichromes. THC Bomb was developed to be something special delivering on every level: yield, strength, taste and speed!